SEBIGAS was established in 2008 as an enterprise focusing on the design & engineering, construction, maintenance and management of biogas plants. SEBIGAS is a Maccaferri Industrial Group company and exploits the experience gained by the Group in over 100 years of operations to develop a profound know-how applied to wet anaerobic digestion plants. SEBIGAS boasts extensive experience in the biogas sector where it has designed and built over 60biogas plants, managing 18 of its own plants with modules from 100 kW to 1.5 MW+, reaching a total of over 50 MW installed. An expert team of engineers, biologists, agronomists and mechanics allows SEBIGAS to deliver biogas plants that are tailored to suit individual customer requirements and fully exploit the available biomasses. Our goal is to deliver a plant system that can operate for as many hours as possible without interruptions to perform routine maintenance or extraordinary operations. SEBIGAS UAC was established in 2013 as a joint venture in Thailand for the construction of a cluster of biogas plants fed by local biomasses. 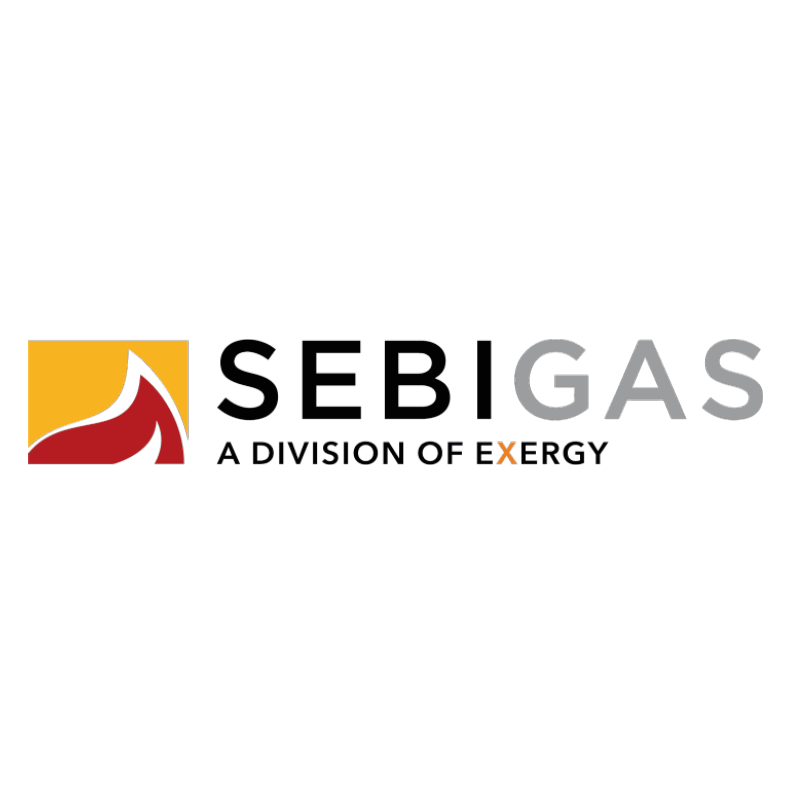 SEBIGAS has also been operating in Brazil since 2014 as an EPC contractor/Technology provider for the construction of biogas plants fed by organic waste and MSW for the production of electricity and biomethane. Furthermore, SEBIGAS also operates in a variety of different countries such as Turkey, Rumania, France, United Kingdom, Ireland, Indonesia, Malaysia, Cambodia and other countries of Southeast Asia and North America thanks to collaborations with its head office and the support of local intercompany facilities. SEBIGAS works alongside the customer in the initial and fundamental phases of the investment, from the feasibility study to the bureaucratic procedures, from the environmental evaluation to the search for investors, to ensure the project achieves excellent results. Feasibility study: SEBIGAS proposes feasibility studies to support the customer in evaluating its investment from a technical, environmental, economic and politic point of view, and produce a complete and comprehensive snapshot of all the elements involved. Permit formality support: SEBIGAS supports the customer during the phases that involve obtaining all relative plant licences and permits, from the environmental impact assessment to connections to the national grid. Project financing: SEBIGAS assists the customer in finding financing and incentives thanks to the channels and the economic and financial stability of the Maccaferri Group. SEBIGAS provides the best solutions to meet the multiple and specific needs of each facility and operates on the market as both an EPC Contractor and Technology Provider. EPC – Engineering Procurement Construction: SEBIGAS proposes an EPC service for the design & engineering and construction of turn-key biogas plants. Technology provider: SEBIGAS supports the customer and the local partners providing technology and engineering for the construction of biogas plants. Revamping of existing facilities: SEBIGAS revamps existing facilities both to improve their cogeneration performance and to install an upgrading system for the production of biomethane. SEBIGAS is the most reliable partner for after-sales services given the extensive experience gained during the running of its very own 18 plant facilities. Electro-mechanical maintenance: SEBIGAS delivers a 360-degree service to its customers, with preventive and corrective maintenance and highly flexible provision of on-demand or full services; these range from electrical to mechanical support, and from maintenance to the cogeneration system and complete system check-ups. Spare parts service: Thanks to its large warehouse, SEBIGAS is able to meet the customer’s demands when replacing equipment or parts of the same. Plant facility management: SEBIGAS has an outstanding record in running biogas plants, and can provide a complete plant facility management service. Operator training: If the customer decides to manage the plant alone, SEBIGAS can provide a plant management course covering all the technical and biological aspects. New substrates analysis: SEBIGAS provides its customers with the results of biological tests on new biomasses to obtain the exact yield of biogas, the methane content, the percentage of dry matter and organic matter and to envisage any criticality in the biological process. Check-up and biological assistance: SEBIGAS works alongside each customer to evaluate the best management decisions from the biological point of view hence minimising costs by verifying the soundness of its material storage, by adapting the feeding recipes, by monitoring the digestion process and the accuracy of the mixing, in addition to the laboratory analyses on substrates, digestants and digestate. Sale of customised micronutrients: SEBIGAS offers a series of oligoelements called SEBI SOLUTIONS, the formula of which reflects the specific biological requirements of each plant in order to improve, for example, the stabilisation of decomposition processes, the efficiency of methane production, the activation of desulphurising bacteria or speed in the biological restart phase. Remote plant facility operation data collection and analysis: The plant facilities are monitored remotely by our own software developed in-house to guarantee simple and effective management, whenever and wherever needed. See more on Sebigas’ website.